A Spoon Silicone Mold for Summer Fun! This looks to be a very clever product that is good for more than just one thing. Not only can you make chocolate spoons with this silicone mold but you could make ice spoons in the freezer for those summer time drinks! This non toxic silicon, non-stick, easy cleaning mold can be used in the microwave, oven, refrigerator, freezer and dishwasher. It is temperature safe from -40 to +446 degrees Fahrenheit (-40 to +230 degrees Celsius). 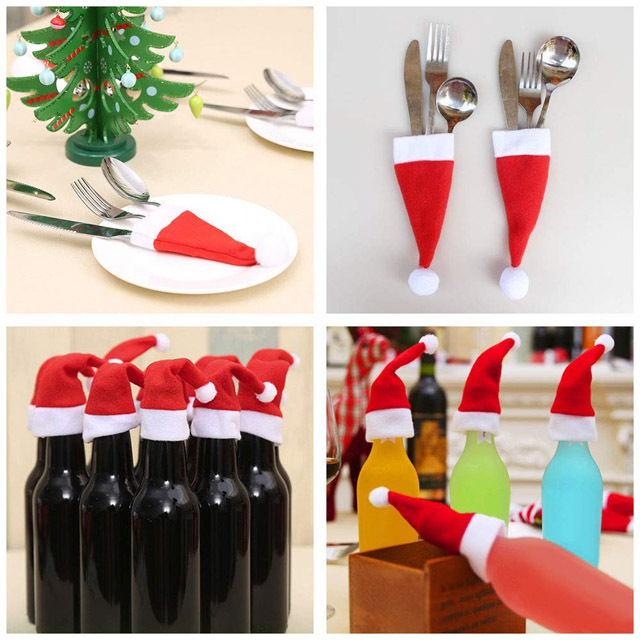 You can use it for candy, chocolate, soap, ice cubes, frozen fruit juice, gummy spoons, cookies and more. Strange it took us this long to happen upon the infamous Shovel Spoon and Fork. 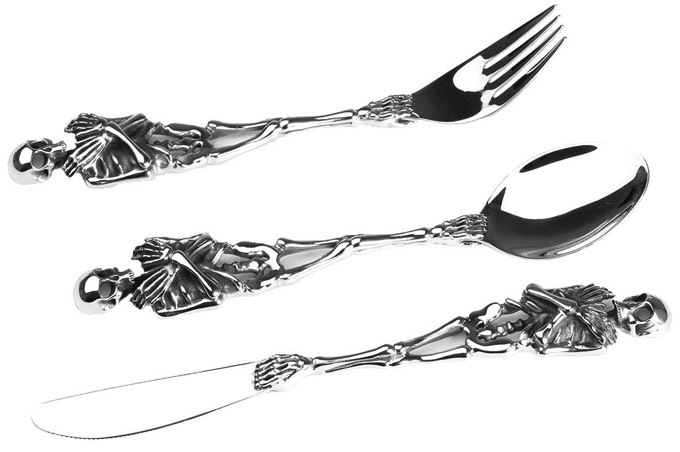 This fun flatware can really add to a dessert when you tell someone to dig in (I stole that pun). 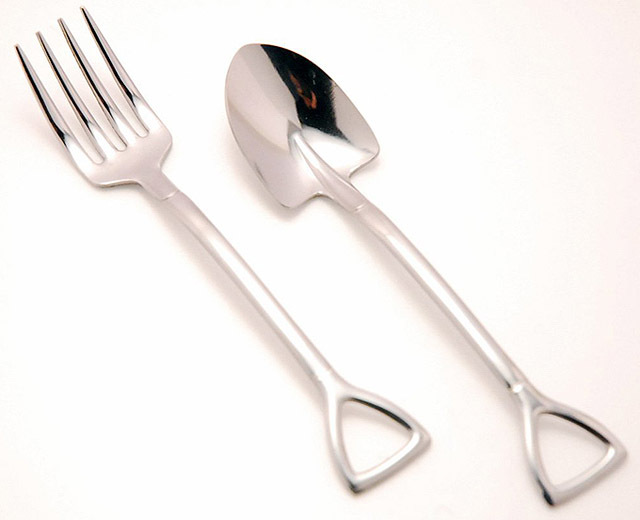 This is the kind of cutlery that really adds a little flair and generates a lot of interest in a dish. The price is right and it’s too cute not to have. It is stainless steel but I would hand wash as it may form rust spots.